As long as I can remember my favorite way to smoke cannabis was blunts. They work great for parties, you can use them for multiple smoke sessions (or just one ) and they are easy to take with you on the go. There is more to the world of blunts then the ones you’ve been getting at your gas station, and today we're going to be taking a peek inside that world. We’ll be looking at the best blunt wraps, and, if you make it all the way to the end before you need to satisfy your need for a blunt, you can see the bonus section on the best blunt wrap flavors! The Best Blunt Wrap Flavors: Vote! The difference between a blunt, a spliff, and a joint comes down to regional language differences. What one area of the world calls a blunt, could easily be called a joint in another. For example, in Europe, a spliff is used to describe a 100 percent marijuana cigarette, but in North America, a spliff tends to reference a mixture of marijuana and tobacco. In most circumstances, however, a blunt describes something much different than either a spliff or a joint. Blunts are hefty, they use more robust rolling papers, and they contain much more weed. Its safe to assume that a quality blunt will contain over a gram of cannabis, perhaps, even more, depending on the craftsman to roll it. These aren’t you high school blunts, kids. 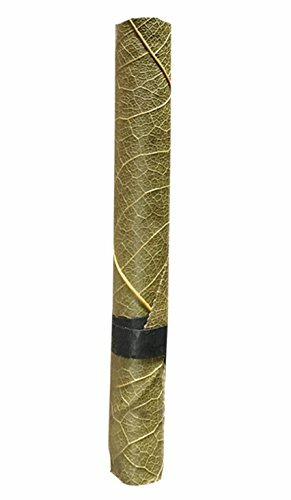 Free of any tobacco or additives, these wraps are hand rolled leaves that create an incredibly slow smoking blunt. 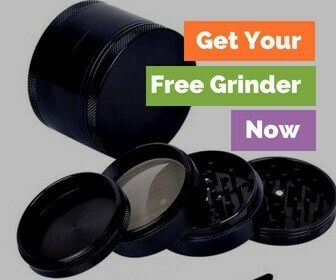 The wraps are pre-rolled, so you’ll just have to grind up your weed and stuff them. You don’t have to worry about getting anything in your mouth with these wraps thanks to the filter tip. There are no artificial preservatives, glue or any added flavors making them the best tasting blunt wraps. If you want a huge wrap that'll let you roll up gram blunts, then you need to try these out. High Hemp Wraps have quickly become the favorite of just about every blunt smoker I know. And they are by far the best flavored blunt wraps. All their wraps are organic and free of any fertilizers, antibiotics or pesticides. I’m sure you could guess that they were not only tobacco-free but GMO-free too. No? Don’t worry, me either. High Hemp wraps come in a bunch of different flavors. All the packs I have ever gotten have been fresh, and they rolled easily too. So, they give you a little more chill than any other wrap would. While I wish they were actually infused with CBD, they only test positive for CBD. Subtle difference, but if it was the former instead of the ladder, you'd be able to get wraps with the CBD cranked up to the max. Don’t expect the training wheels (adhesive) you get with joint papers; these are just pure wrap. I will admit they aren’t the slowest burning wrap, but their flavor, cleanness and them being CBD+ make them some of my favorite blunt wraps. Hemp wraps are just better than old-fashioned tobacco wraps. And now you have big paper brands like Juicy starting to notice it too. This is their spin on the Hemp Wrap. Seeing as Juicy as long been held as the Flavor King, you know you can get these wraps in just about any flavor imaginable. Juicy also has a slower burn then High Hemp. And, while these might not have any tobacco, they aren’t organic. The wraps are easy to roll with and come sealed in airtight bags to keep them fresh. And, listen, I get it. This is more a cone than blunt, and it’s made out of gold. All of this is true, but considering you can stuff this with a couple of grams, and it’s a slow burning hemp paper, I had to include it. It’s coated with a 24 karat edible gold that’s sure to impress just about anyone. This can make anyone feel like a king or queen. Sometimes you can get one that’s a little fragile, but otherwise these pre-rolled smoke exceptionally well. Okay, a break from the madness and back to the wraps. 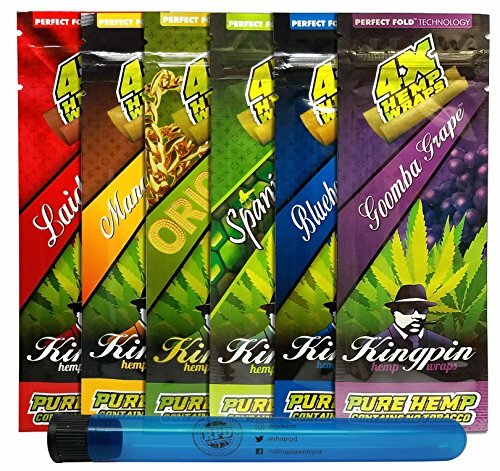 The pure hemp wraps from Kingpin are easy to roll thanks to their perfect fold technology, but what’s cool is the sampler pack even comes with a free Kewl Tube. The wraps come in resealable bags and come four wraps to a pack. Most other wraps only give you two per pack, so this is a plus. The smell of the flavors can be a little intense, but they smoke slow. Cyclones was a brand I was recently turned on to during our quest to find the best stoner box, and I’ve been impressed with what I’ve smoked so far. These are pre-rolled hemp cones that have a flavor soaked wooden tip. The coolest part of the wooden tip is that it’s reusable. Just throw it on the end of the next blunt you roll. I also love the packaging! Each wrap comes in a little carrying case (think dubetube) that fits perfectly into your pocket. 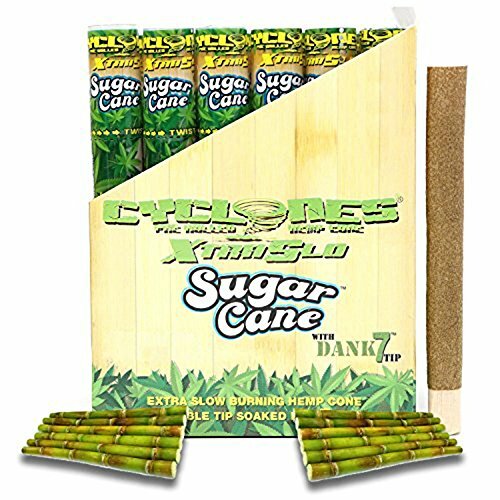 Cyclones make these pre-rolled blunts in a few different flavors, and their prices are pretty good for what you’re getting. You just knew that Zig Zag was going to find it’s way on to this list. A lot of people swear by these wraps, but mainly because you can pick them up at just about any gas station. 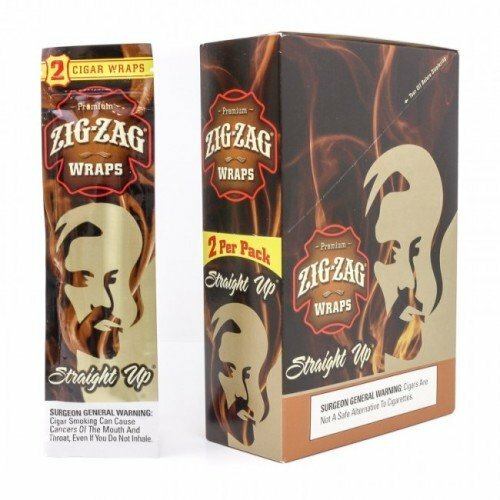 I’d venture to say that, besides busting up cigarillos, Zig Zag wraps are the most used wraps. You can get them in just about any flavor, and I’ve never gotten a pack that wasn’t fresh. These kind of wraps aren’t as clean as a hemp wrap, but they roll easy and smoke slow. Twisted Hemp wraps are worth a blunt or two of your time. The flavor and scent can come on strong for some people, but if you’re a big fan of flavors, you will really enjoy them. If you get the sampler pack from them, they even throw in a Kewl Tube! You can get them in six different flavors ranging from sweet to tropical breeze—don’t worry, they have plain ol’ grape too. 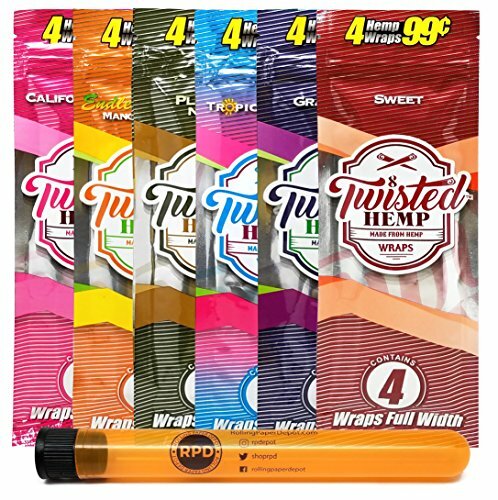 Twisted Hemp also gives you four warps per pack for about what the other guys charge for two. However you feel about their smell, you’ll love the way they burn. If you like to smoke blunts to yourself, then these are your wraps. Same quality as the wraps that topped our list, but on a smaller scale. These “mini” wraps are perfect for a personal blunt, and at 50 per pack, they could last you all year! King Palm guarantees that they’ll remain fresh for a whole year! 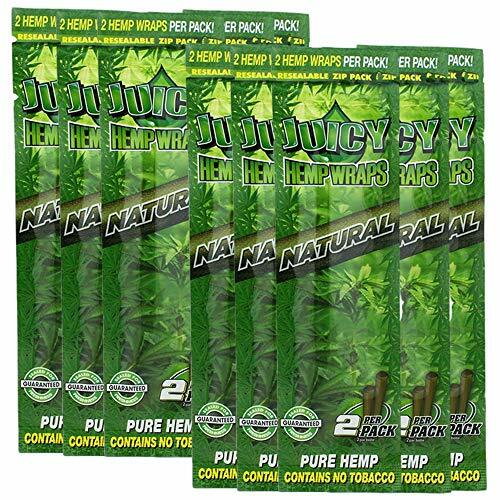 The wraps have a mild and earthy taste, and the corn husk filter keeps your mouth free of cannabis. They offer a complete kit where you get 50 Rolls, 1 Boveda humidity control packet and two packing sticks. These sticks make it easy to pack the blunt just tight enough for a perfect smoke. You’ve probably never heard of Double Platinum, but they need to be on everyone’s radar. The wraps are known to come fresh and taste excellent. Available in quite a few different flavors, and they come two to a pack. They are closer to a Zig Zag wrap then a High Hemp. They have a slow burn, and you don’t have to worry about a harsh throat burn. Now, let’s be honest, your favorite flavor is going to be entirely subjective. So, let’s take a look at the most common flavors, and a few exotic ones, then we all can vote on our favorites! And, one trip to your local headshop will show you that the choice of flavors goes on and on. Vote on your favorite in the comments section below! Finding the perfect blunt wrap for your rolling experience takes a few trials and errors before getting it right. Some are too small, some are too thin, too thick...but finally, you’ll find the brand that is just right. It all comes down to what you consider to be the perfect blunt, and if you roll them from scratch or prefer to start off with a pre-rolled product. 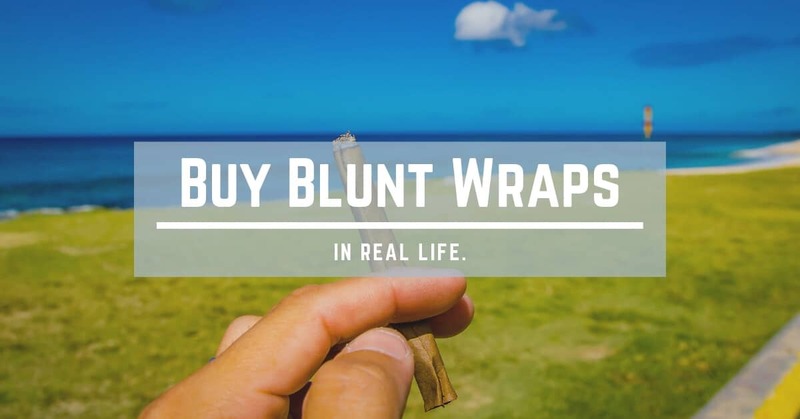 As you've likely figured out, everyone has a very personal style when it comes to smoking marijuana, which is why there’s such a diverse market for different types of blunt wraps. The first place you should look when buying blunt wraps online is of course Amazon. Not only do you find the best deals, but sometimes the best selection. Looking for style points during your next smoke sesh? Why not order a few packs of the $100 Bill Premium Rolling Papers? Or let’s not forget about the 24 karat gold papers, they are sure to impress. For the more traditional smokers out there, there are also options. Many companies offer naturally flavored blunt wrappers, tightly rolled around a cigar. But you can also find bulk packs of pre-rolled cones, capable of fitting one to two grams of weed per cone, like the famous RAW variety. Pick your poison; you’ve got more than one option when you shop online. If you prefer just to hit the streets in a quest to find the perfect rolling papers, they are available in more places than you might first think. Do you live in a legalized state? If so, you have the most in-person blunt purchasing options because everyone everywhere is selling weed. Even the classiest dispensaries will have blunt wrappers for sale. If not, they will hopefully have pre-rolled blunts for sale. Even if you live in a non-recreational state, there should be a few smoke shops around selling all things weed related, but not the weed itself. They should have bongs, pipes, weed clothing lines, and, of course, dozens of rolling papers to choose from. No dispensary or head-shop nearby? Don’t worry. You might still be able to source your blunt papers locally. Check out the nearby corner store, cigar store, or worse case scenario a liquor store. These types of establishments tend to cater to the same kinds of customers, which means they usually stock a few smokable items beyond their usual product lineup. Not all blunt papers are created equal; there is a wide variation from one brand to the next and one style to the next. The format might even change depending on your local laws. In some places, it's illegal to market flavored rolling papers, or even just blunt wrappers. Because of these local regulations, you might not be able to find a pack of grape flavor blunt wraps. But that hasn’t stopped creative companies from getting around that rule. Instead, companies sell pre-rolled cigars, wrapped in not one but two rolling papers. 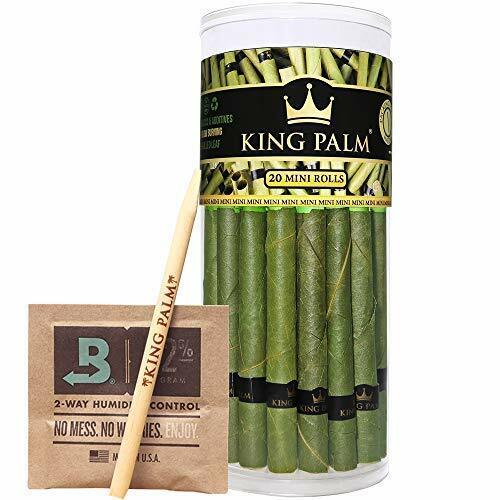 That way, customers can dump out the tobacco and roll two perfectly flavorful blunts wrapped in a rich tobacco leaf paper. If you don’t happen to live in a region with strict regulation of tobacco products than you’re in luck. You have many more options when it comes down to blunt wrappers. Most excitingly, you can buy them in any flavor under the sun: peanut butter and jelly, root beer, and even chicken and waffles. Yes, chicken and waffles is a real type of blunt rolling paper available online. You can also buy them in a pack. Usually, between 20 to 40 wrappers come stacked in a small dispenser, making them easy to manage. These packed blunt papers are not as thick as the cigar papers; they also tend to be a bit more processed. Depending on who is doing the rolling, a blunt might not always come out in a perfect cylindrical shape. Instead, a blunt might turn out in the classical cone shape. Cone-shaped blunts come with many nicknames, like a bat, coner or a bluny. These cone-shaped blunts are appealing to smoke, and a little easier to roll. You can learn to roll them yourself, or in many cases simply purchase pre-rolled blunt papers online. The pre-rolled option is perfect for the newbie roller, as they come in packs with filters already applied. Just stuff, lick and enjoy. We’ve come this far, and still, you might need to know how to roll a blunt. It’s nothing to be ashamed about; it takes time, practice and patience to perfect the craft. Ask any one of your friends who roll a perfect blunt every time; they didn’t get there on their first try. It might take years of practice, or at least a lot of weed smoking. The best way to learn how to roll the perfect blunt is to learn from a friend. Seeing it in person can really break it down for you step-by-step, in a clear and visual way. Failing that, you can always learn from a helpful video—it's nearly as good of a teacher. If your friend's instructions are rubbish, and the video didn’t quite do it, here is a step by step guide to rolling a perfect blunt. Grind up one to two grams of weed, and put it on a small piece of cardboard, roughly the length of your wrapper. Un-wrap the blunt paper from the package. Moisten the top edge of the paper. Hold the paper in one hand, wrapping the paper around your pointer finder to create a trough. Carefully transfer the weed from the cardboard into the paper through, it should dump in nicely. Spread out the weed evenly either by rolling gently or with a finger. Place the filter at one end. Lick the upper edge again. Slowly, starting at the filter end, roll the bottom edge around the weed, and tuck it around the back of the product, the upper side should still be pointing upwards. Once successfully tucked under, roll the tube upwards and seal with the licked edge. What’s the Difference Between Blunt Wraps and Rolling Papers? Rolling papers are essentially just cigarette rolling papers repurposed for weed. Yes, some come printed with fun illustrations, and some come with fun flavors like grape, orange, and chocolate, but at the end of the day, a standard rolling paper is still relatively small. For the inexperienced joint roller, conventional papers tear very easily, because they are so delicate. A cigarette rolling paper requires a light touch, and generally can’t hold that much weed. Blunt papers, on the other hand, are big, bold and juicy. Blunt papers are larger than their rolling paper cousins, and they take a lot more beating during the rolling process. While they often come flavored, their natural flavor is of sweet tobacco. Because a quality blunt paper should be made out of tobacco leaves. For the more traditionally minded folks, shopping online for blunt papers, there is one very important item you cannot forget. Some papers don’t come in a flat pack. Instead, they are tightened and sealed around a pre-rolled cigar. To use the blunt paper, you’ll first need to break it open carefully. It requires finesse, careful maneuvering and a bit of patience. Or, it requires a Blunt Splitter. There are tiny plastic tubes with a tiny razor blade on the inside edge. They are the perfect size to throw a cigar through, and they cut a perfect incision down the wrapper. Plus, a blunt splitter attaches to a keychain. Most of us prefer to keep tobacco out of our blunts, so getting a tobacco-free wrap is essential. You can also get wraps that are GMO-free or 100% organic (if that matters to you). Once you find a wrap you love, it will be hard to try new ones, but I challenge you to keep trying new wraps! They all burn differently, roll differently and have different tastes. Which wraps do you think are the best blunt wraps? We'd love to hear about it below, and don't forget to vote on your favorite wrap!